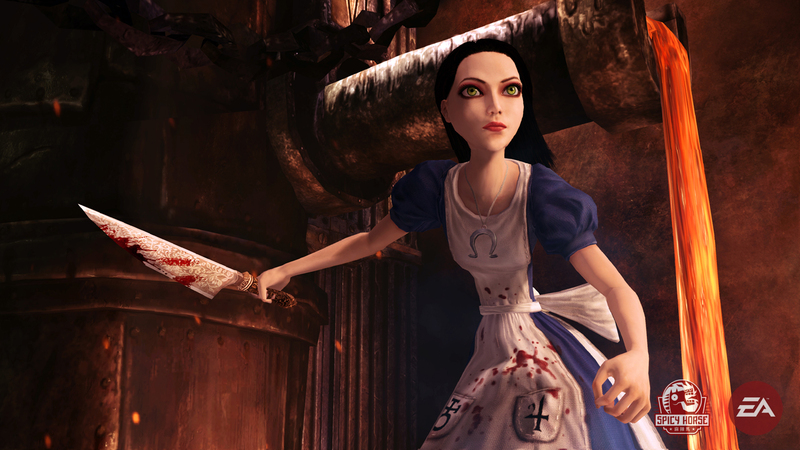 In celebration of American McGee’s Alice 2: Madness Returns coming out today (June 14th! ), I decided to see if I could make Alice’s classic dress and apron, and learn to sew in the process. Yes, that’s right, I’ve never sewn an entire costume from start to finish. Most of the fully sewn costumes that I’ve done, I’ve had help from Mario or his mother. So, I decided that I’m going to learn to sew so that I don’t have to ask for help in that department anymore, and I did some research and bought my materials.